Great in the garden and your kitchen! Bushy, compact habit with dusty green, rounded leaves that are the largest of all the culinary sages. Tall wands of purple-blue flowers bloom in mid-summer. 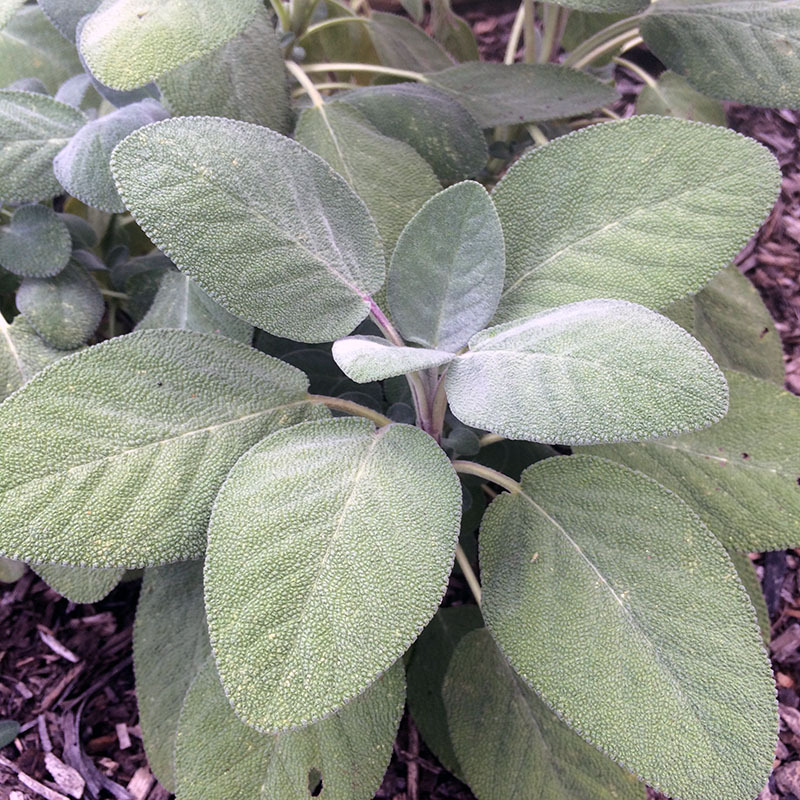 As useful as the common garden sage—delicious and fragrant—with the added bonus of looking gorgeous in the garden, especially with other silvery plants like wooly thyme and silver thyme. Full sun. Height 1-2’. Spread 1-3’. Drought tolerant. No wet soils. Trim back in spring to new growth. Zones 5-8.